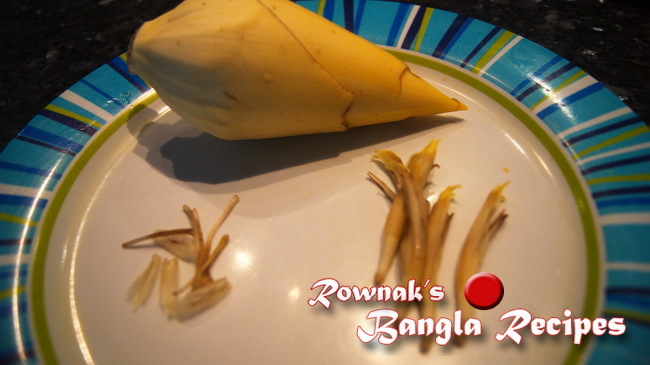 Banana Blossom (Flower) Fry / Mochar Ghonto is a unique Bengali dish of banana flower. 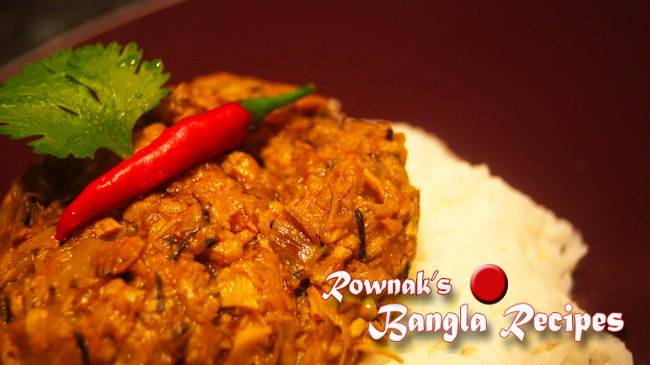 It has a subtle sweetness and a hint of coconut that compliments the flavour of the banana flower. Hard part of the dish is cleaning Banana Blossom which bit time consuming. 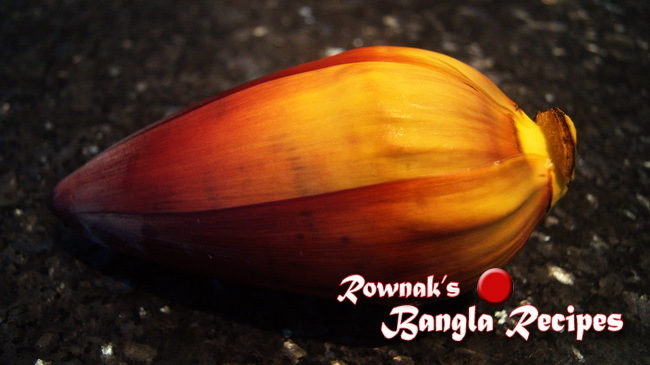 Banana Blossom is rich source of Iron. Because of high Iron in Banana Blossom, be careful when you are cutting it to avoid the stain. 1. The tougher, darker outer bracts/ leaves are pulled away, the florets inside are revealed. These florets can be pulled out. Remove the stigma (hard string in the middle with a tiny head) and the bracts (the translucent boat shaped petal-like part) one by one from each floret. 2. Once the florets have been cleaned, boil it with little salt and ½ teaspoon turmeric powder till it comes to boiling point. 3. Remove water and chop florets. 4. 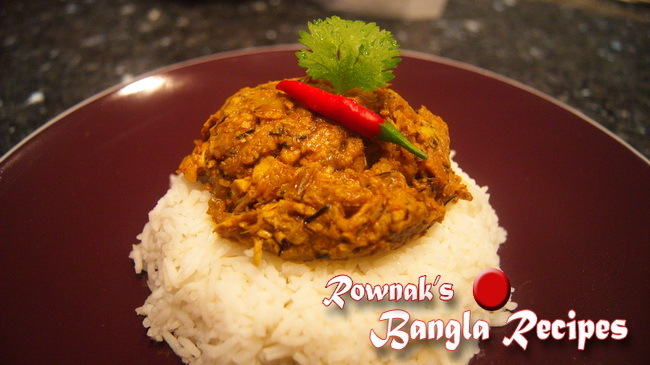 Heat oil in a pan, add the cumin seeds and bay leaves, and once the seeds start to splutter, add ginger, coconut paste, chilli powder, turmeric powder, salt and diced potato for 2-3 minutes. 5. Add chopped Banana Blossom and cook it for 10 minutes or till it becomes tender and mix well all ingredients (stir occasionally). 6. Check salt, add sugar and cook 2 minutes more. 7. 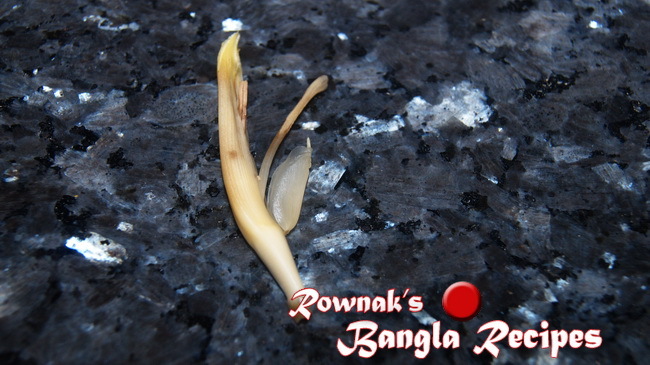 Serve Banana Blossom (Flower) Fry / Mochar Ghonto with rice. I like ur site good job keep it up oh…….. l like ur banana flower vaaji.